OPPOSITION LEADER Kamla Persad-Bissessar expressed pain over the murder of Uber driver Christopher Mohammed and offered assistance and support to relatives. At Mohammed’s funeral at the St Anthony’s RC Church in Petit Valley yesterday, Persad-Bissessar attempted to console grieving relatives by recalling her own experience of losing her brother in a car accident at an early age. She said despite the tragic nature of Christopher’s death, she encouraged his family to find solace in God. Mohammed was shot dead on Thursday night and his body was found near a panyard at the corner of Mucurapo Road and Ethel Street in St James. Citing the recent murder of McDonald’s store manager Ashmeed Mohammed on Sunday night, Persad-Bissessar said she was deeply pained by the killings and called on mourners to unite against crime. 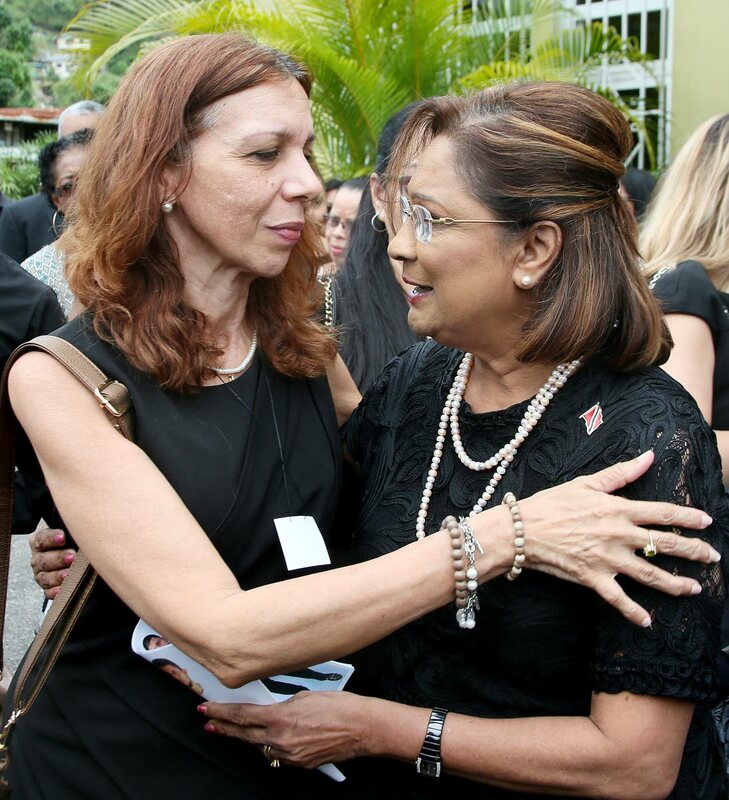 Speaking with reporters after the service, Persad-Bissessar said she was asked by relatives to attend the funeral and vowed to support the family as best as she could through this period. She also criticised government for failing to bring soldiers into a more inclusive role in the fight against crime. She said during her term as prime minister she made the suggestion to grant soldiers the powers of arrest but was rejected by the opposition at the time. “Too many families are affected by crime and it seems that nothing is being done, but I will be meeting with the Mohammed family at a later time. Officiating priest Fr Stephen Geofroy lamented Christopher’s death and called on mourners to extend love and support to each other as they attempt to come to terms with his passing. In his honour, several members of the Mohammed family wore photos of Christopher on their clothing. Reply to "‘I am deeply pained’"